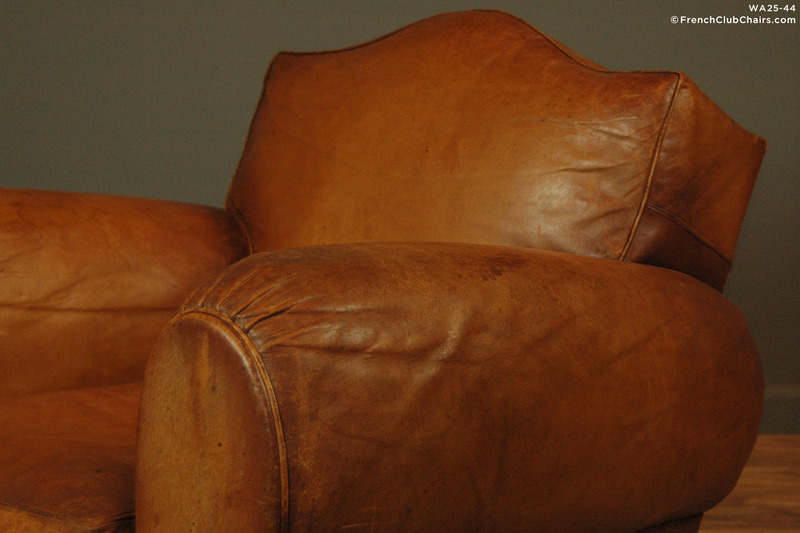 Gendarme Vintage Solo French Club Chair. Huge, comfortable French Club chair solo. The Gendarme back chairs get their name from the Shape of Napoleon and the French Gendarmes(Policemans hat) from the mid 19th century. A lovely old chair that has some age appropriate wear that is also know as patina. Circa 1940s. measurements: depth-37", width-39", height-30", seat depth-22", seat width-18", seat height-16"